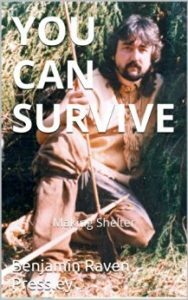 In this book you will find how to build life saving survival emergency shelters of many kind. Field tested. Learn to build a wickiup, lean-to, debris shelter, ground bed, coal bed and more! This is a great book and is only 99 cents from DESTINI-E BOOKS.